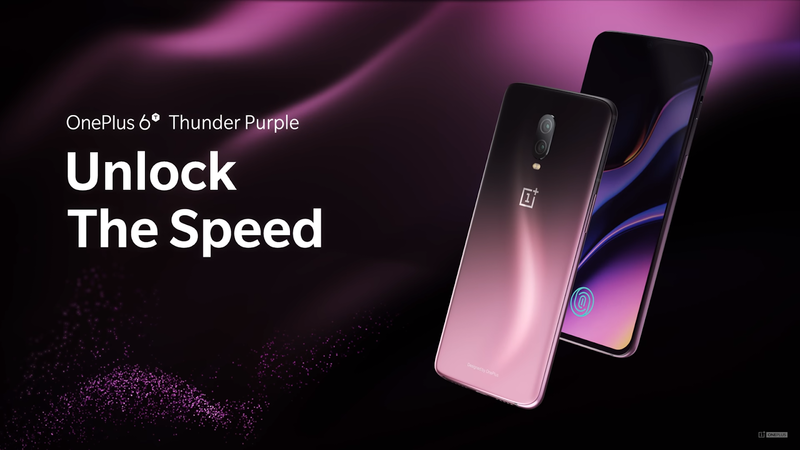 Chinese phone maker OnePlus on Monday announced the launch of the OnePlus 6T Thunder Purple variant in the Indian market. The phone will be made available only in the 8GB RAM/ 128GB inbuilt storage starting 11am on November 16 online across Amazon.in and OnePlus Store, and offline at Reliance Digital outlets and OnePlus exclusive stores. It is priced the same - at Rs. 41,999 - as the OnePlus 6T's other color variants and comes with certain launch offers. Not just India, the OnePlus 6T goes on sale in major North American and European markets starting at 9am on November 15. The Thunder Purple trim is unique as it has a two-tone gradient complete—purple and dark—which changes its shade at various edges. like the one you'd find on a Moto G6. As noted during the launch of OnePlus 6 earlier this year, the only change with the new variant is likely to be the color, with no changes in internals or the pricing of the device. This means that the device will launch at the same price as the Mirror Black and Midnight Black for the OnePlus 6T in India.